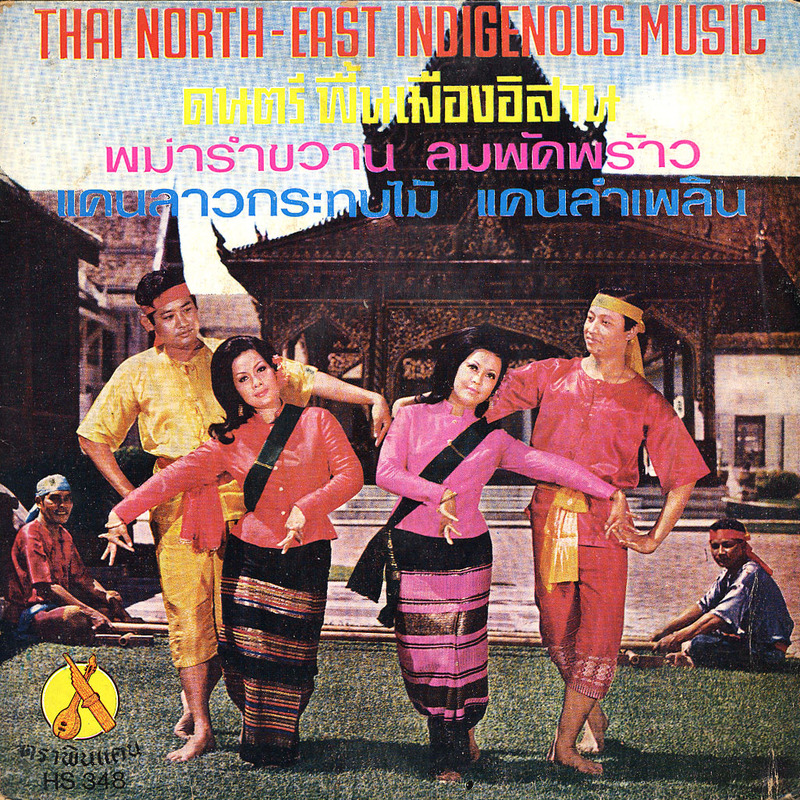 In the 1950s, rural Thais from the northeast (Isan) and elsewhere began moving to the big cities to look for work. 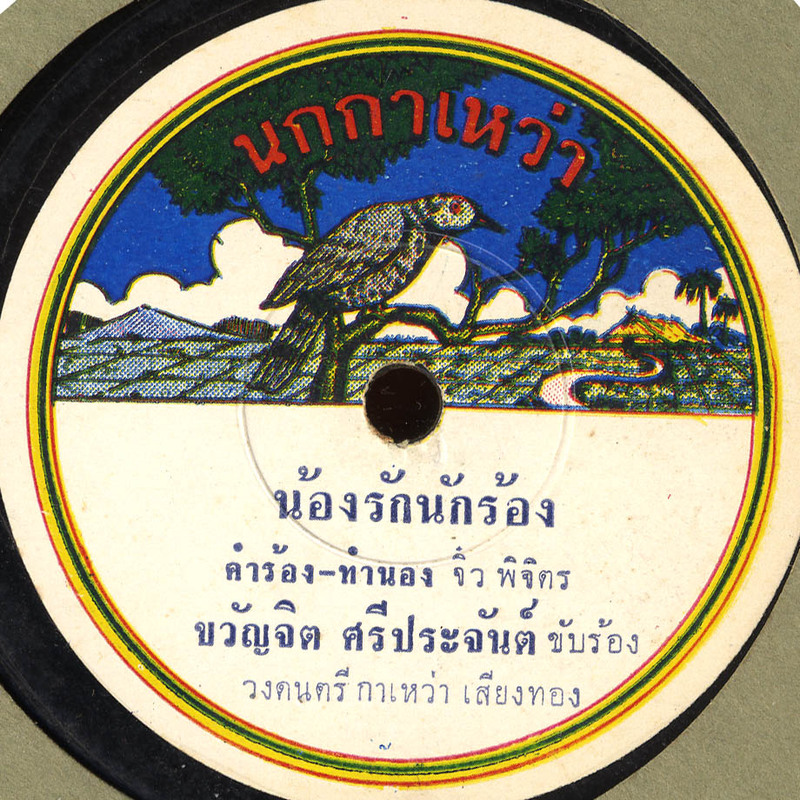 It’s the same old story found all across the world – the rural music was transformed in urban ghettos and a new popular music was born. 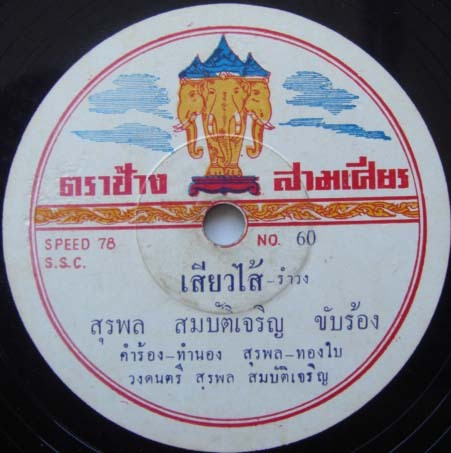 The huge success of some of the big stars of the 50s such as Waiphot Phetsuhan, Phloen Phromdaen and Suraphon Sombatchoroen inspired many rural people to dream of escaping poverty by becoming luk thung stars. 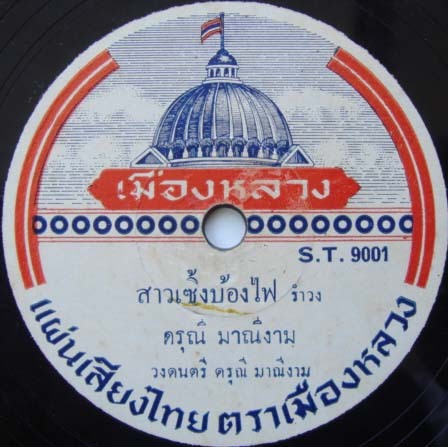 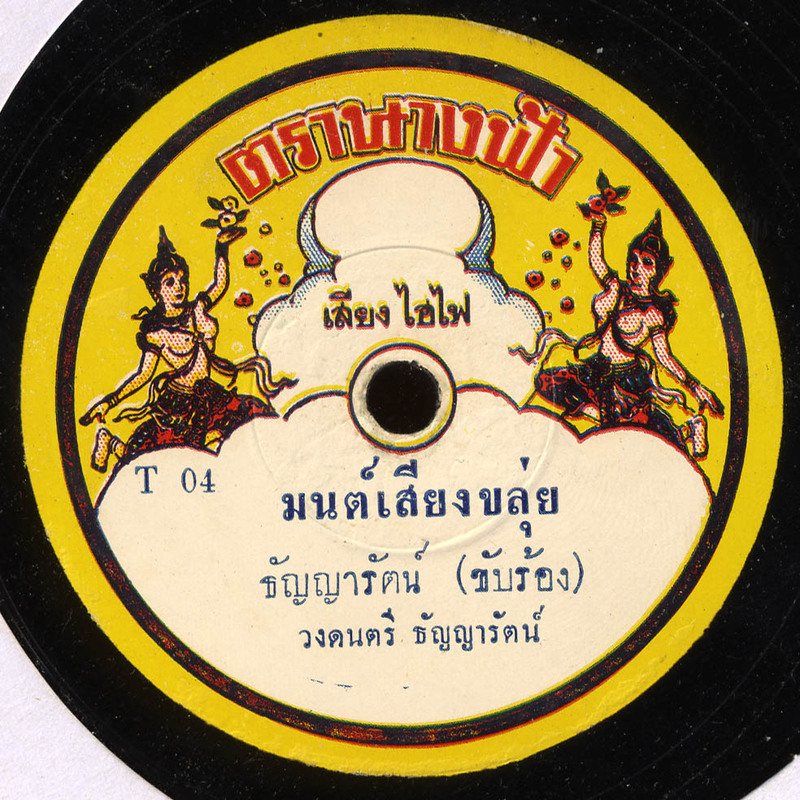 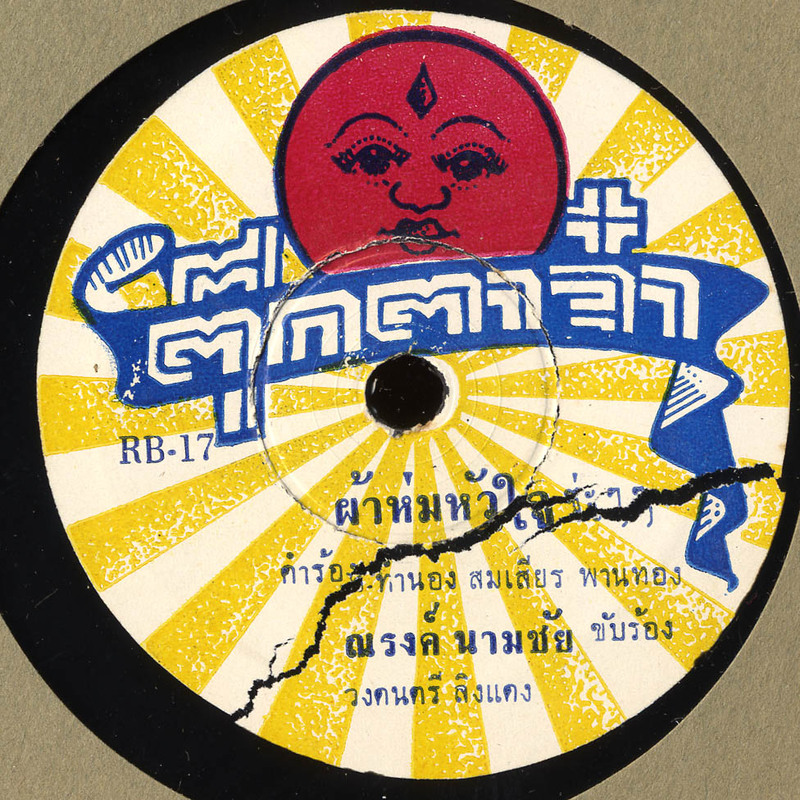 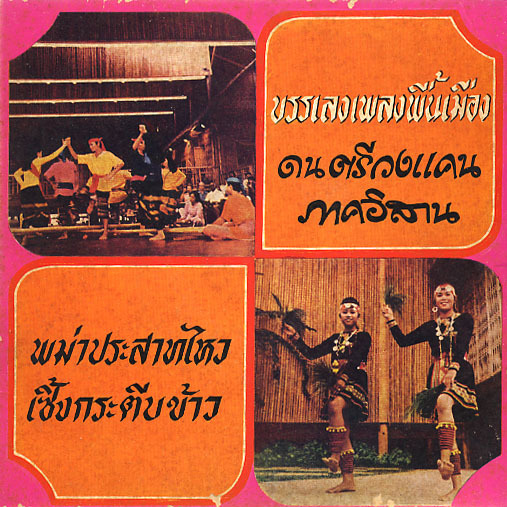 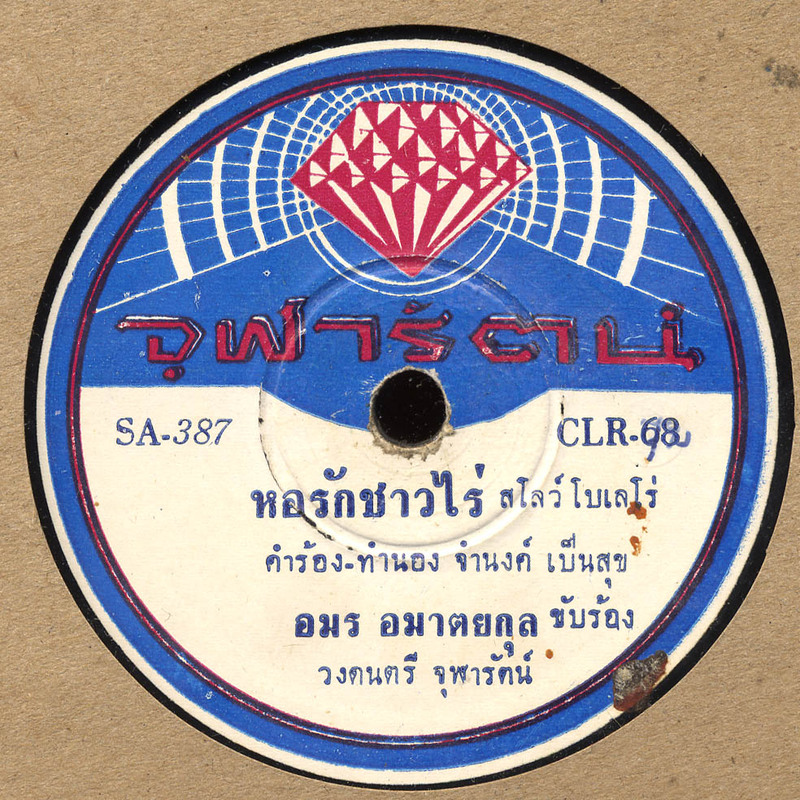 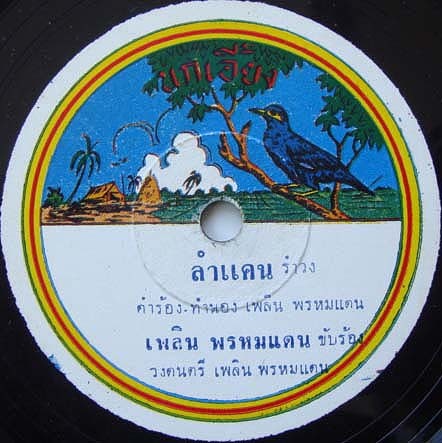 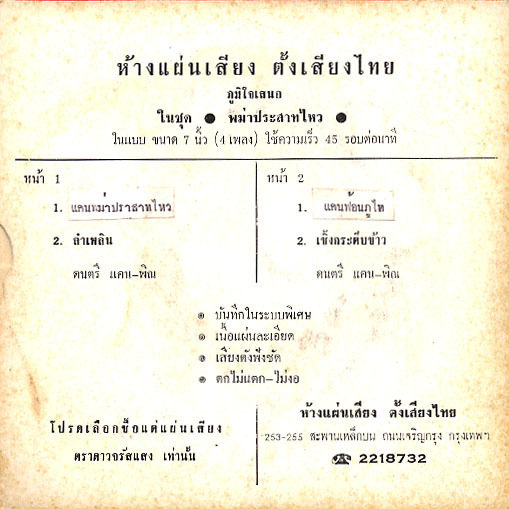 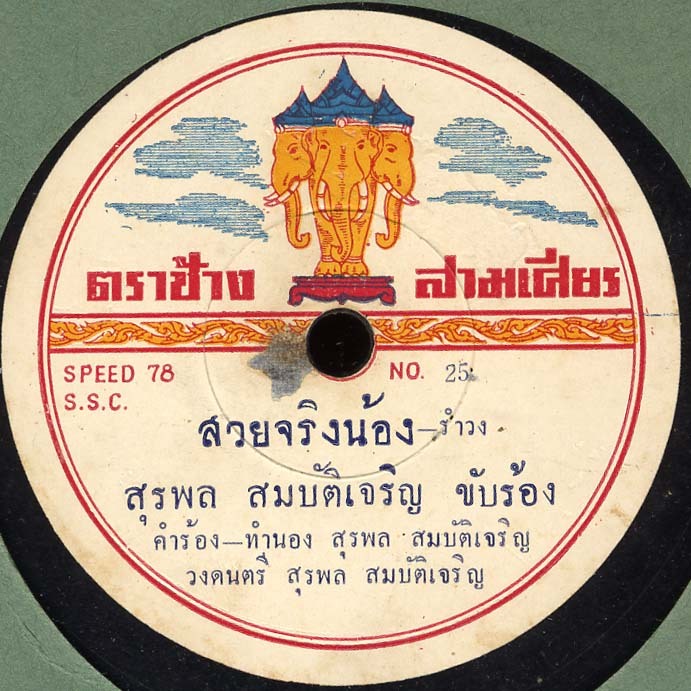 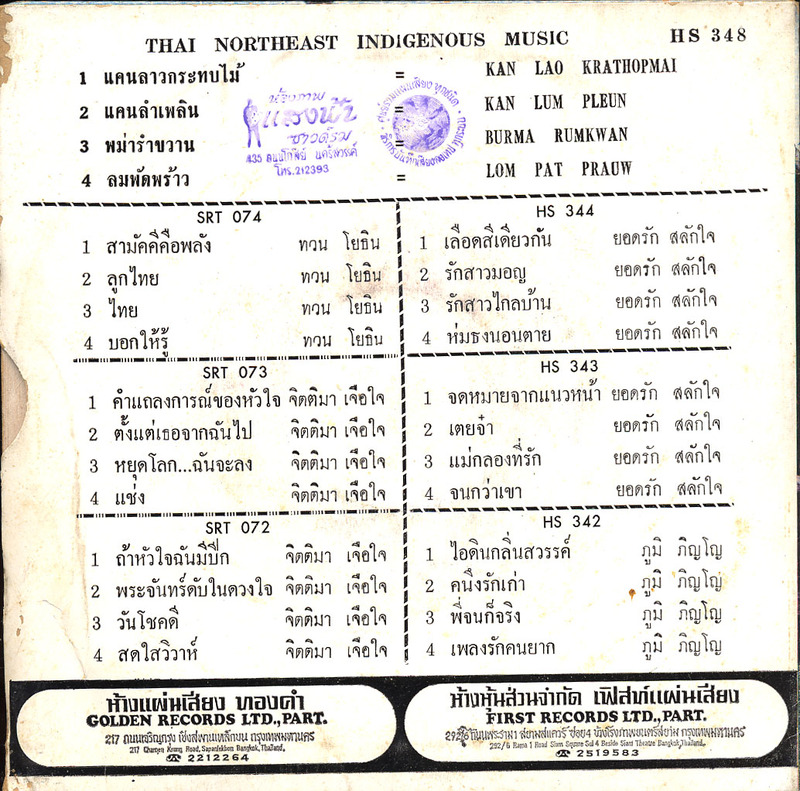 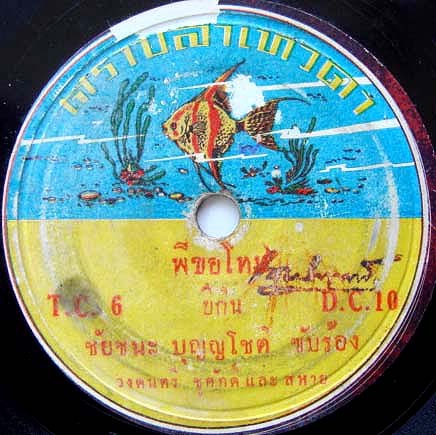 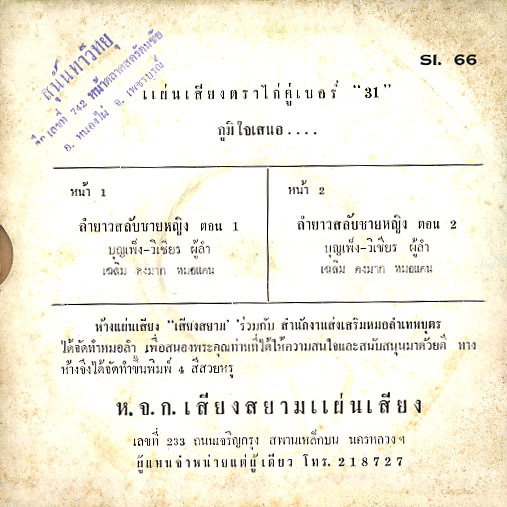 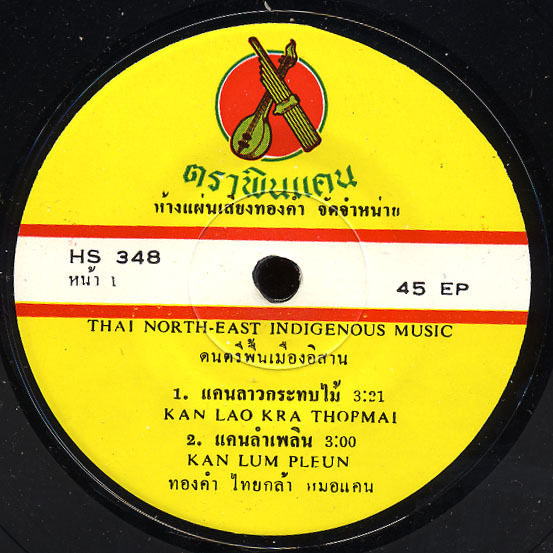 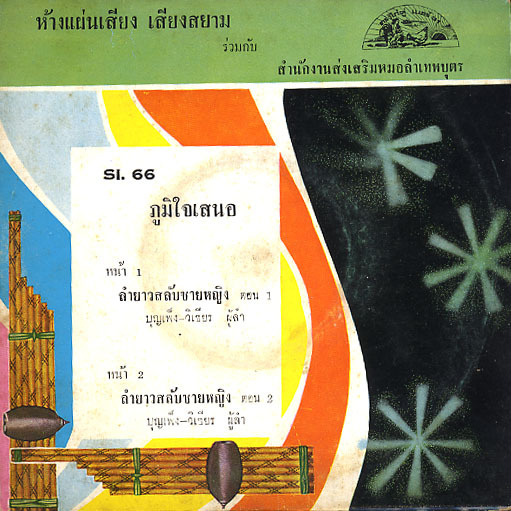 Independent record labels proliferated and continued releasing luk thung 78s into the 1960’s. 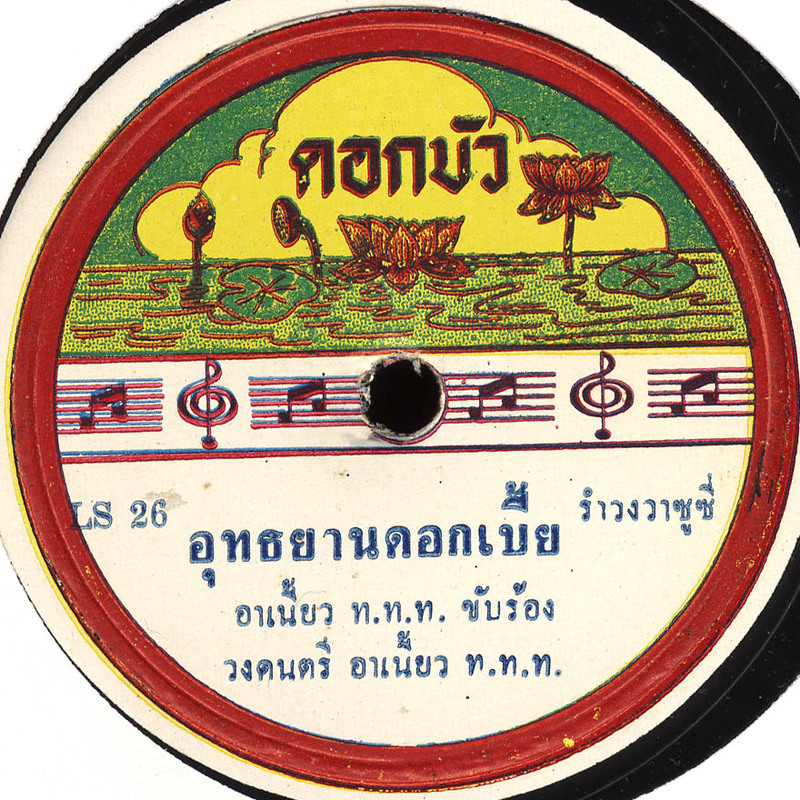 By the 1980’s, luk thung was the unrivaled pop music of Thailand and only recently has a modernized type of molam begun to catch up. 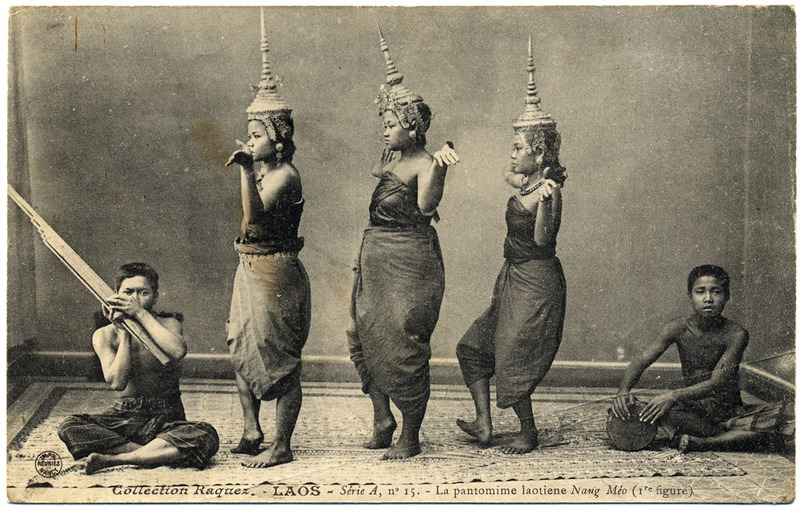 We’ll look at some early molam soon. 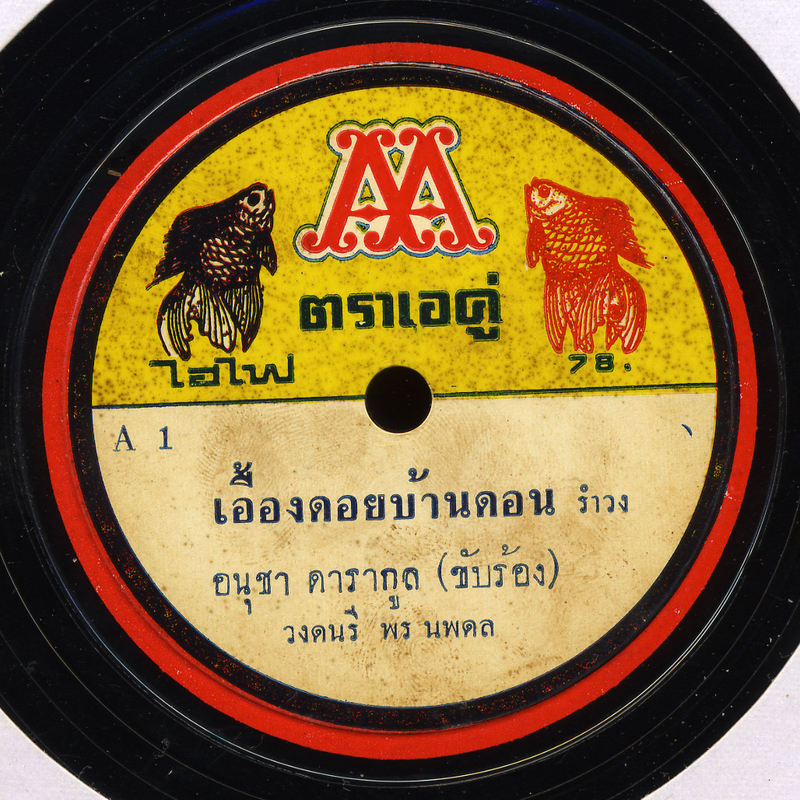 Thanks to Peter at Monrakplengthai for translation and copious information. 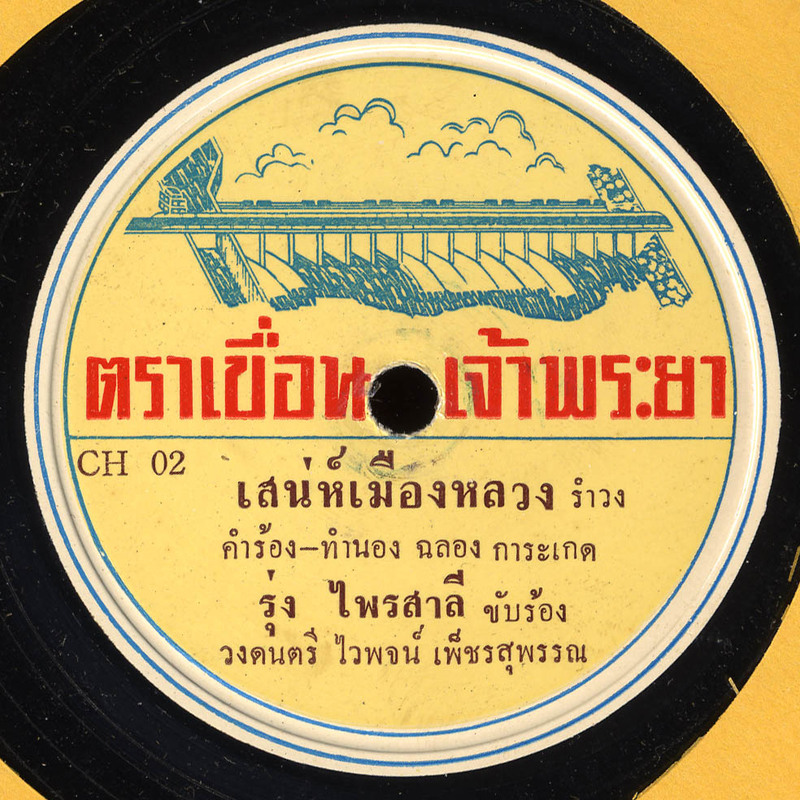 Plenty more luk thung on his site!